In this session we will talk about option provider and contract types in addition we will look at 24option.com in more detail. Once on the 24option website, enter your username and password, this will allow you to buy or sell using option trades. Firstly, if you look at the top right corner you can see the deposit icon, your username and account balance. For people with real accounts, Banking and My Account buttons are present to control their account. There is also a trade button which we will talk about later in this session. The server time is shown here as 15:44:08, and it is the 30th of May 2014. The expiry times, as you can see, are: 15:50, 15:55. The percentage of profit and the symbol chosen are shown here as well. The percentage of selling and buying assets, which by looking at, you can see that traders like to sell immediately. If you would like to analyse the market, you simply have to click this button here and this window will open where you can look at any chart for any currency that you like. There are other more standard options in full screen or half the normal size. There are useful features like vertical and horizontal views and time range with various segments, such as 1 min, 5 min, 30 min and 1 hour. 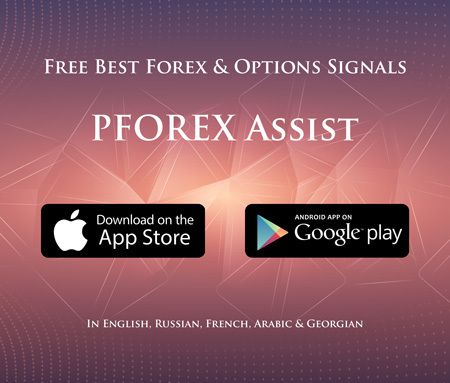 You can open the chart in Metatrader to analyse the market trend for detecting suitable spots, then you can place an order in this web based platform. All information that you require is displayed here too, such as the chart itself and the closing time. Now, here we do not have to buy and sell in options, thus you have to select High or Low and the amount of investment in this order (Premium) and then press the Buy button. It means that you purchase a contract with a higher or lower target price than the current price. If you look at lower part of the page, option trades which are still open will be shown in this section, but in this case we do not have any. Next to this are closed trades; this will give you a summary of all the trades you have made in the past. You can see the type of trades you have made such as high, low and short term. The next column shows whether the target price (strike price) was higher or lower than the entry price. Next to that are the asset and the symbol of your choice, and next to that again are the date and time of placing the trade, the Premium, target price, expiry price rate and finally the time the trade was closed (expiry time), the last column shows the profit from a given order. For example, if you look at the first trade (high and low), the trade was going up; our prediction was that the price would close higher than 1.37030, in fact it was closed at 1.37037. It was closed with 7 pipet and we made a profit out of this contract. If we were to invest $100 and the profit we made was $83, the total we would receive is $183. This is because, in these type of trades, any profit you make will be added to your investments. However, say we were to invest $50 and we made no profit on it, then we would lose the $50. Now we will talk about what is called a signal. It relates to parties with higher investments who can activate this section to monitor their trades and the market. In this section you can see all the different types of trades like high & low, one touch, boundary and short term. If you choose high & low, the first option is higher or lower, which means higher or lower of a specific value based on the price index. For example, the market price at the moment for EURUSD is 1.36097 which is shown here. You can either choose higher or lower of the market price index and this account will be closed; as you can see, the closing time here is 16:00. Then you can select Low or High based on your prediction. Now you can choose the amount, for example $50, and it will tell you how much profit you will make. Here it shows 83%, thus, if your prediction is right, then you can derive $91.50 from this contract, $50 as the initial investment (premium) and 41.50 as your profit. Now if you buy this option, you can see it is registered in the open trades section and all details about this trade are available for you to see, such as the transaction ID, purchasing time and your selection. The second part is in Above/Below section, which at this time is not available to traders. The percentage of payout (profit) here is higher than in the high & low section. This is now available, so again you can choose the symbol, the amount of payout, from 220% to 360%, the target price and finally the expiry time. For instance, on this contract (EURUSD) the target price above 1.36179 would bring 220% payout. Target price of 1.36186 would bring 360%, while target price of 1.36111 has 220% payout. As you can see, because Above and Below trades are more difficult than the high/low system, the percentages of a payout here are higher. For instance, we can choose below and invest 50 dollars and again it is registered, but remember guys that this is a demo account and you should practice and analyse market trend thoroughly before making any trades. Next section is about Touch contract type. First part here is touch and no touch. The market price index is 1.36114 and our target price is 1.36144, almost 3 pip up. If we believe the market price will reach our target price before the expiry time, we should choose touch; while if we believe that it will not reach that target price before the expiry time, we should choose no touch. For instance here we think that it will reach the price before the expiry time and we make our trade, and again it is registered here. In High Yield Touch section, the difference between our estimated price and the market index price is much greater. For instance, here we have an almost 14 pip gap. The expiry time can be set too. And again you are free to choose whether it is going up or down, here we invest 100 dollars and choose the lower price. It is also possible to do trades in the oil market as well. In this Option type, a channel with two prices, one higher than the current price and the other lower than the current price, is specified. Again the expiry time is set here. If we speculate that price would be in the channel, then we can select In, while if the price would be outside of this channel at the expiry time, then we can select Out. This type of Option is suitable near major news announcement time. For instance in oil trades, since we predict that price would go out of this channel at the expiry time, we can select Out on Oil with $100 as its Premium amount. High Yield Boundary provides higher amount of payout as trader must specify if the price would be higher or lower than the certain values at the expiry time. This section is for parties who want to make their trades within a much smaller time frame, time frames available here are 30 seconds, 60 seconds, 2 minutes and 5 minutes. We make our investment of $50, and again it is registered. This type is especially beneficial near news time. Many people find it hard to focus with all the symbols being displayed, fortunately there is a way to only display symbols you are interested in by simply clicking the setting access this option. Any major currency or commodity can be selected for your convenience. This would help the performance of the platform as it is a web based. Limited symbols and streamlines can boost the speed of this platform. There are of course other websites which we will definitely look at in the future, but one of the most reliable ones is 24option. For more information you can always visit our website. Remember that you can contact us to open your option account and we will assist you with dedicated care and regard.